Said no OIF or OEF Veteran ever. That’s because every single American outpost or base in Iraq and Afghanistan had a burn pit. There were burn pits at Balad, LSA Anaconda, and FOB Marez. At COP Heider, Sinjar, Talil. They had burn pits at FOB Danger, FOB McKenzie, and LSA Diamondback. They were at Sykes, Stryker, and FOB Kalsu…..Al Asad, Taji. You name a base in Iraq or Afghanistan – there were burn pits there. I’ve heard Veterans tell me they had them in Kuwait, too…and even stories that we built burn pits at coalition bases in Bahrain. Here is one of the most complete lists I’ve seen of bases where we allegedly had burn pits….let me know if you see a base that is missing. (We’ve copied and pasted the list below in the event that the linked site someday “disappears”, as happens far too often when Veterans issues go “out of vogue”). If you have to ask what a Burn Pit is, you didn’t go to Iraq or Aghanistan. This is how our soldiers disposed of all waste while on their base: by burning it. 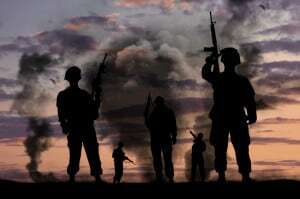 Soldiers burn plastics, wood, clothing, human waste, metal, rubber, solvents, medical waste, styrofoam, solvents, and more. There was no limit to what was burned. The largest of the burn pits was at Balad – the burn pit there covered over 10 acres and burned waste at the rate of multiple TONS per day. Anyone who has seen a tire fire or a proscribed burn in the forest has seen how much smoke this type of burning puts into the air. Of course we all know that breathing that kind – and volume – of smoke is dangerous. But the biggest danger to Veterans wasn’t just the initial exposure to the smoke. It was the Particulate Matter in the smoke. Particulate Matter is the small solid or liquid particles that remain in the air after a pollution event. Known to scientists as “PM”, the particles can be large enough to be seen by the naked eye, but most commonly not. It may be liquid or solid. Acid or metal. Dust or chemical. The size of Particulate Matter is measured in units known as microns. A micron is 1 one-millionth of a meter. To give you an idea, the dot above this letter “i” is probably around 400-500 microns. Any Particulate Matter that is smaller than 10 microns are a severe hazard to anyone’s health. Particles this small can pass through the hair in your nose, into your lungs, through the membrane of the lungs and into your bloodstream, where it is distributed to your body. VA Claims for Particulate Matter Exposure. 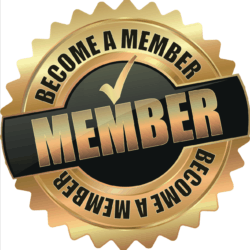 It doesn’t necessarily matter – for the purposes of a VA claim – what the Particulate Matter is made of. Once small PM gets into your bloodstream – and we are talking from exposures as short as 3 hours – your immune system is compromised. Your risk of respiratory problems and heart problems, cancers and lung damage, breathing disorders and ischemic heart disease skyrocket. And then there is the chronic bronchiolitis – the long-term, chronic or permanent inflammation of the bronchioles. Bronchioles are the “highway” that delivers air from your nose and mouth to the sacs in your lung, where the oxygen in the air is then dispersed to your bloodstream. When those bronchioles are inflamed – due to a virus or an irritation like Particulate Matter – you begin to be short of breath. Persistent wheezing or coughing occurs. Your away is obstructed and you might experience sleep apnea. Asthma. Heart problems. 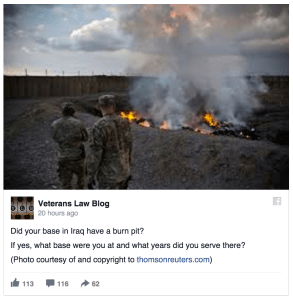 Bottom line up front – if you were stationed at a base in Iraq and Afghanistan and breathed the air there for more than 3 hours while a burn pit was active – you need to amend your VA Claim right now. You need to amend that claim to allege that any condition that you have now or will have, from cancer or lymphoma, respiratory or cardiac, lymphoma or sleep apnea – anything at all – was the result of your exposure to (use these words) Particulate Matter in the air at the base you were stationed at. The VA may deny that claim. In all likelihood, they will. 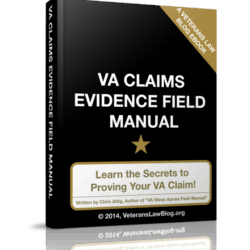 There are 2 (very general) reasons that the VA generally denies “Burn Pit” claims. If they deny it because your current diagnosed condition is not shown to be the result of a Particulate Matter exposure in Iraq or Afghanistan, there are accredited VA attorneys out there who are versed in how to change this outcome – how to get your claim proved up with the right scientific and/or medical evidence. On the other hand, they may deny it because you don’t (yet) have the medical condition that could result from the exposures to the Particulate Matter in the burn pits. You may not yet have cancer. But let me say this – I bet that every single Vietnam Veteran who is suffering from the chronic diseases that result from Agent Orange had filed a claim in 1975 alleging that their exposure to Agent Orange caused the host of medical conditions that they did not yet have. Had they done so, many of these Veterans would have effective dates that go back 2, 3, or 4 decades – thanks to lawyers like those that brought the Nehmer lawsuit against the VA in the 1980 and 90s. Bottom line up front – and I say this to be frank and not put the VA down – the VA has no clue what it is talking about in most Burn Pit cases. The VA is so hammered by the scandals of the last 10 years that investing the research money to find out what is happening to soldiers after a near-constant exposure to Particulate Matter smaller than 10 microns at the Burn Pits is pretty low on the priority list. And even when the VA is aware that a Veteran has a Particulate Matter claim, they don’t even follow the most basic rule about sending “Particulate Matter” fact sheets to the C&P Examiner. If you say you were at LSA Anaconda for 8 months and worked the burn pits for 7 hours a day, 6 days a week for 8 months, they won’t think about Particulate Matter, or looking for the early markers of heart and respiratory disease. They won’t ever think your sleep apnea could be caused by the damage to your airway caused by PM smaller than 10 Microns. 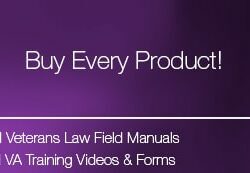 If your claim for a condition that you believe results from your exposure to the burn pits at your base in Iraq and/or Afghanistan, please reach out to a VA Accredited attorney that knows how to get the VA to follow their rules and regulations for these “Exposure” claims in Iraq and Afghanistan. 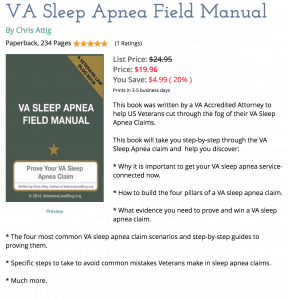 The Veterans Law Blog publishes a FREE eBook that will teach you how to find the best VA accredited attorney for your claim or appeal. PS…This is, by far, the most comprehensive list of bases where we had burn pits….if your base is not listed, please contact me to let me know by clicking the green support button in the lower right. At Bayji Iraq the refinery burned 03-05, also somebody needs to look into the ordnance disposal site “Arlington” at Bayji where up to 50,000 lbs of captured ordnance were destroyed daily rumored that chemical ordnance was destroyed .CIA ran site.